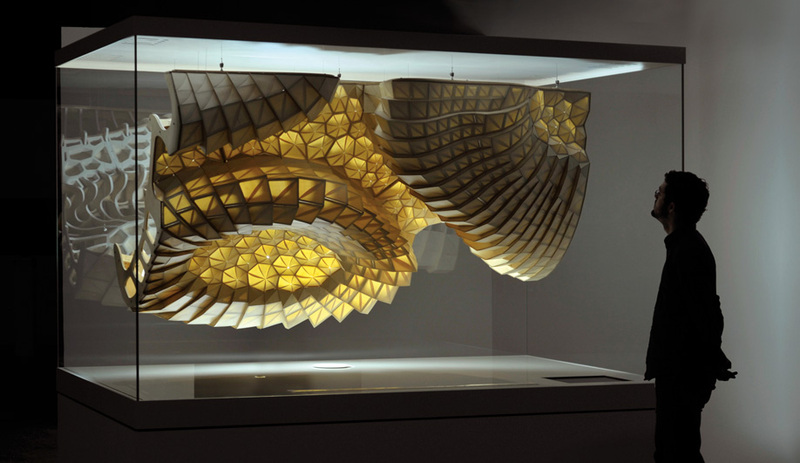 Hygroscope, by Achim Menges with Steffen Reichert, exploits wood’s intrinsic responsiveness to moisture. The model’s eye-like apertures were fabricated in shapes and directed fibres that make them open and close in response to humid air. Sensor-embedded architecture and design is opening up a world of interactive possibilities. 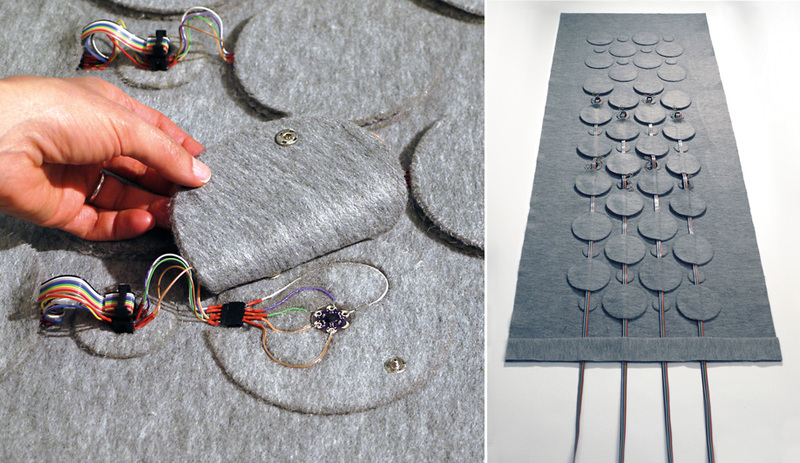 Architect Carol Moukheiber is wiring sensors into a grey felt blanket with round modules, which resemble the lily pads that adorn the green taffeta hanging on the wall, an earlier iteration of this thinking, responsive device with its own IP address. A co-director of the Responsive Architecture at Daniels Lab, at the University of Toronto, she is both the designer and maker of IM Blanky 2.0, a project in development with the university’s department of occupational therapy. Now in the testing phase, the blanket is designed for people confined to bed; when you place it over yourself, it measures your breathing patterns, and possibly your heart rate, and relays those signals back to a clinic for analysis. Designed to monitor vital signs, IM Blanky was engineered at the Responsive Architecture at Daniels Lab, at the University of Toronto. “It’s not that the blanket is a replacement for more precise clinical monitoring. Its value is in being able to record vital signs over time and provide data to give better diagnoses,” says Moukheiber. It is easy to see its applicability as an aging population faces health problems later in life and society looks for ways to care for ailing and disabled citizens in their own homes. Moukheiber, her RAD colleagues Rodolphe el-Khoury and Christos Marcopoulos and their students are pioneers in this rapidly evolving field. With the miniaturization of technology, small, easily programmed computers can be embedded in our buildings and objects so they adapt to our needs and those of the environment. This growing realm is fulfilling the predictions of the ’60s cybernetic scientist Gordon Pask that humans would eventually interact with technology in a mutually constructive way. The flourishing of experiments in responsive design is a direct result of designers and architects taking the means of production into their own hands, as technology becomes more accessible to them. For instance, many interactive devices employ Arduino microcontrollers, tiny circuit boards designers can program to read and respond to sensors. With these and other technologies, they are developing smart textiles that playfully change colour and pattern with the application of heat, or release fragrance or lotion with the use of chemical actuators; and bodysuits equipped with sensors to measure vital signs. For the home, we are already seeing more user-friendly appliances and systems that respond to touch or a wave of the hand; and in the future, morphable furnishings, such as those envisioned by Neri Oxman at MIT’s Media Lab, will change shape to ergonomically accommodate the user. 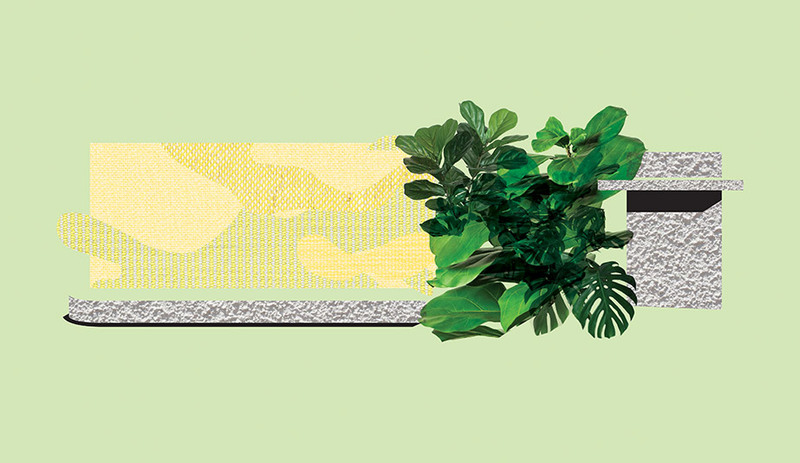 Houses will respond to environmental needs: along with the now ubiquitous planted walls and ceilings that filter air and absorb carbon dioxide, there will be surfaces that literally breathe, expanding and contracting to mitigate humidity. We can now talk about buildings having a nervous system, and having a dynamic relationship with their surroundings and inhabitants. 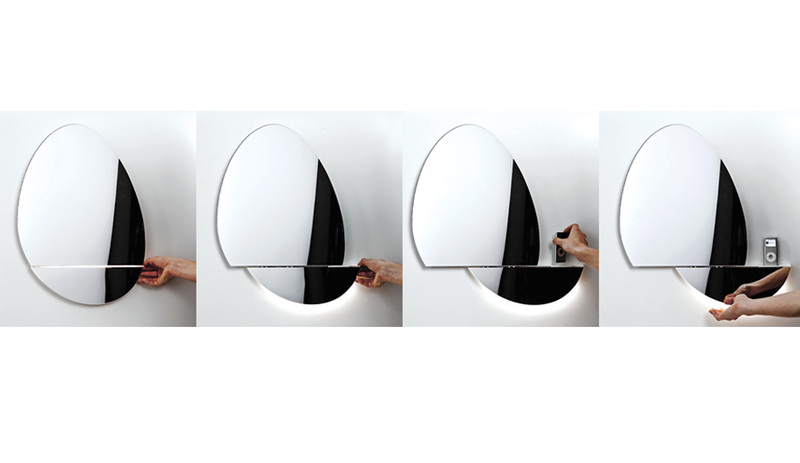 Open Mirror, by Italy's Digital Habitats, features parts that slide away to reveal an iPod charger. 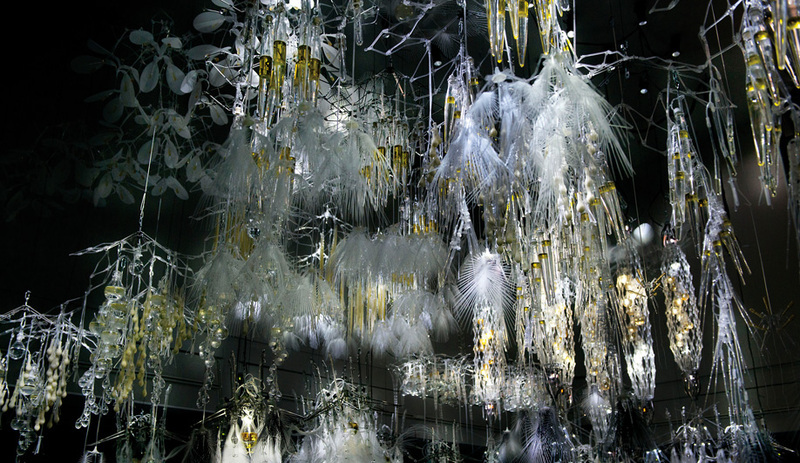 Toronto architect Philip Beesley’s Radiant Soil installation, recently on display at the Alive exhibition at the Espace Fondation EDF in Paris. Indeed, biomimicry lies at the core of many responsive design concepts aimed at improving energy efficiency. Chuck Hoberman, the New York designer who invented his eponymous shape-shifting spheres in the ’90s, is applying biomimicry in a concept for a facade that could change and react to sunlight and temperature. For the KAFD spas in Riyadh, starting construction next year, his firm worked with British architecture firm Buro Happold at their joint Adaptive Building Initiative to develop Tessellate surface modules composed from three layers of perforated titanium, two of which are motorized. Responding to the sun’s intensity, the way heliotropic plants such as sunflowers do, the screens move so that their perforated patterns overlap to regulate light and heat, ventilate and create privacy in a continual reaction to external conditions. Manufactured by the metal panel experts at Zahner, they can reduce the cost of cooling a building by 15 to 20 per cent. 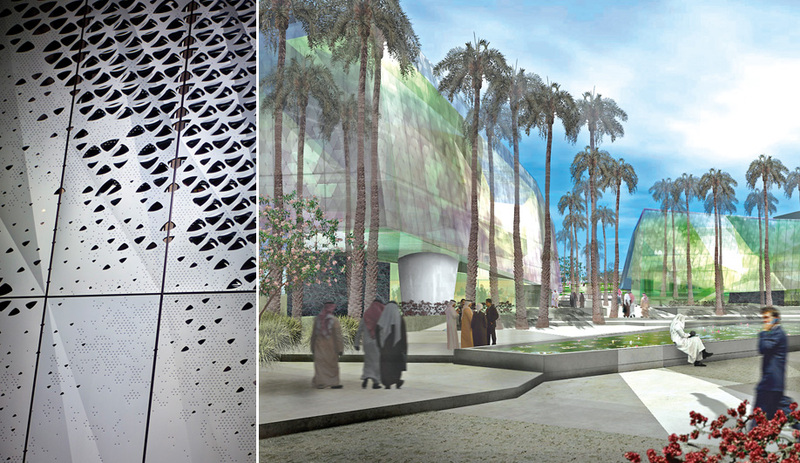 The KAFD spas in Riyadh will be covered in solar-tracking perforated panels developed by Chuck Hoberman with Buro Happold, and made by Zahner. A new highway system by Dutch designer Daan Roosegaarde and Heijmans Infrastructure will similarly employ responsive design to curb energy consumption, and could inspire many more projects that embed these technologies into the urban fabric. The highway incorporates interactive street lamps that come on as vehicles approach them and dim after they pass. “Wind lights” employ updrafts from passing cars to generate energy for illumination. 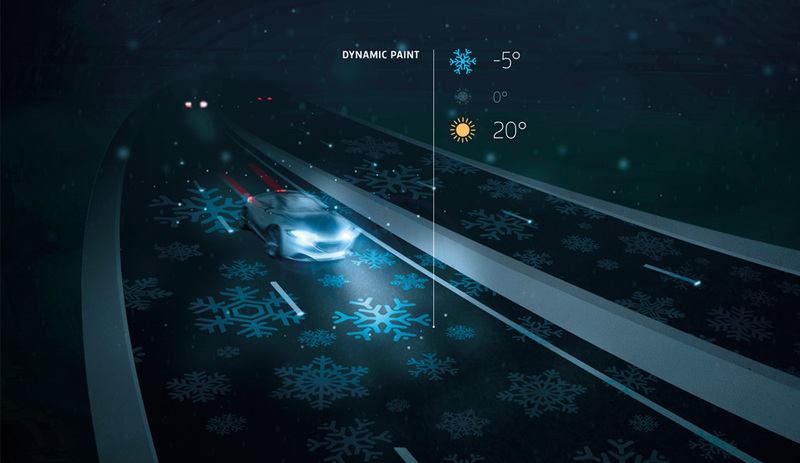 Temperature-responsive paint on the road surface displays snowflakes, alerting drivers to icy conditions. Painted lines indicating the lanes absorb the sun’s energy during the day so they can light up at night. And in a bold gesture toward driving without fossil fuels, the highway has induction coils embedded under the tarmac to recharge electric cars as they proceed over it. A 150-metre trial strip of the road is under construction in the Dutch province of Brabant. Smart Highway, by Studio Roosegaarde and Hejimans Infrastructure, is now under construction in the Dutch province of Brabant. Parlac leads the University of Calgary’s SKiN (Soft Kinetic Network) Project, which is developing a building material with embedded “muscle” wires that activate surfaces to follow people’s movements and activities, harvesting warmth and creating localized heated zones for greater comfort and energy savings. As with much research in the field of responsive design, the need for rigorous testing and the technology’s associated costs present obstacles on the way to commercial production. However, going by the example of Enric Ruiz-Geli’s Media ICT building in Barcelona – named World Building of the Year in 2011 by the World Architecture Festival – enormous savings and huge reductions in a project’s carbon footprint can be realized in the embrace of relatively simple technology. “Performative buildings can be [constructed] at low cost. You put the money into engineering,” he has said. The main innovation in his Barcelona building is a pneumatic facade of ETFE cushions. The triangular pillows on the southeast side inhale and exhale like lungs to provide sensor-controlled sun shading. The long cushions on the southwest fill with nitrogen to block heat and filter light; in 30 minutes, a beautiful, cascading nitrogen cloud responds to the rising temperature outside, replacing a conventional air conditioning system, which can account for 80 per cent of a building’s energy consumption. 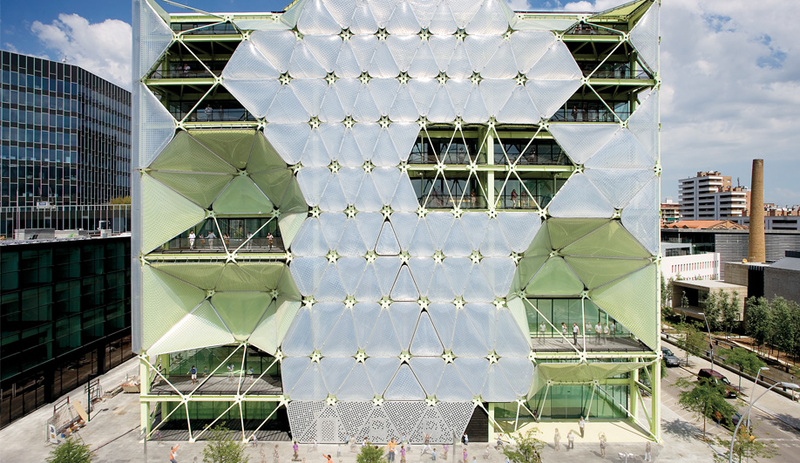 Barcelona's Media ICT building, by Enric Ruiz-Geli, features a dynamic facade made of breathing ETFE cushions. 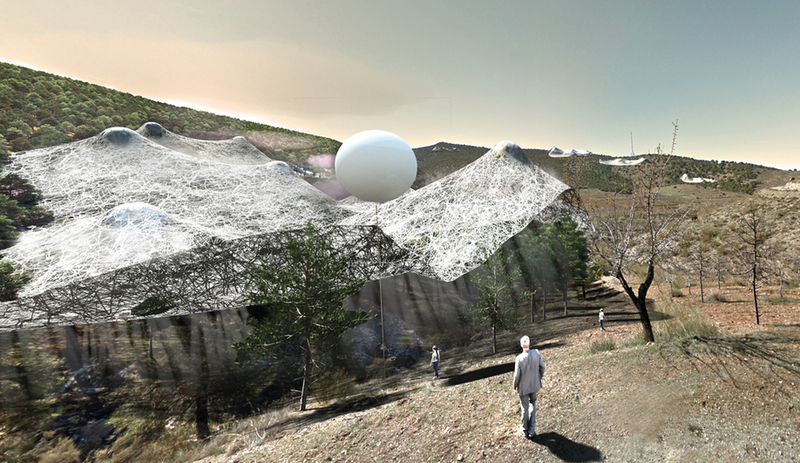 Ruiz-Geli is now at work on the equally imaginative El Bulli Foundation, a cultural and gastronomic centre on the Catalonian coast that will resemble an organism and aim for carbon neutrality. 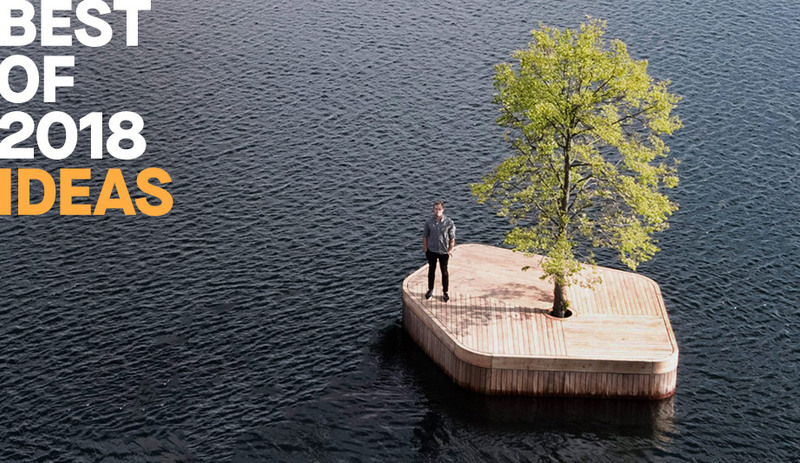 He en­visions a future where structures contain thousands of embedded computers, are built with recycled materials, and increasingly adopt the designs and processes of the natural world – and he is just one of the ingenious designers who dare to make that future happen. 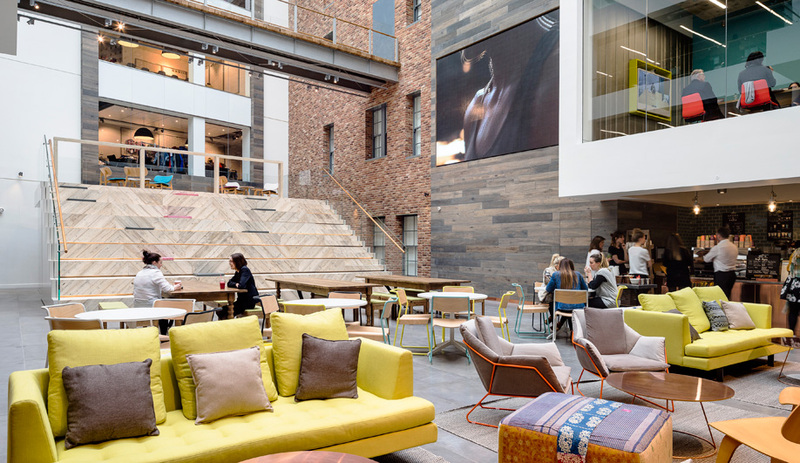 What Does the Office of Tomorrow Look Like?